Colour contributes immensely towards our response to an object or a place or sometimes even a situation. Have you ever felt that you feel more comfortable and relaxed in one room of the house as opposed to the other? Have you noticed how that one colour always grabs your attention in every product that you see? Interior designers in Lahore cater specifically to a customer’s colour psychology when designing their house. Choosing the right colour to paint your house is an important decision which needs to be thought through. Here are a few tips to keep in mind when you are selecting what colour to paint your home. Colours have an impact on one’s daily mood/emotions, interior designers suggest to bear in mind the kind of mood you wish to have for your room. It’s true that every corner of the house has its own character and feel which is greatly derived by the colours present in that area. For instance, bright and bold colours in a room depict a dramatic or intimate feel whereas neutral or soft colours signify a calmer and quiet ambience. Customers usually prefer welcoming and warm colours for their living and dining areas to increase the sociable feel. Once again a popular preference is of neutral colours but also shades of green will help create a soothing environment. Imagine walking in from one room to the other where the colours transit. The floors and walls of a house, if utilized and designed in the right manner, can act as planes of colour. Interior decorators in Pakistan focus on the design such that these planes not only interact with each other but form a visual relationship when viewed from one room to the other. It may be tricky but a complete treat to the eye if the right combination of colours is selected to allow a flow of beautiful blends across the house. It is vital to pay very close attention to the way you light a room in order for the colour to have maximum impact. Most paint stores keep light boxes readily available for customers to be able to test paint chips and see whether or not it will complement the lighting that they have in mind for the room. For example, if a family room allows for a great deal of natural lighting then it would be great to use a strong, warm colour preferably on an adjacent wall to the window to give the lighting a hefty push. Similarly, fluorescent lights have a blueish and sharp effect on the room. With a formal room that has deep warm tones of yellows and greens, it is best to use incandescent lights. Having subtle variations with a single colour shade coupled with contrasting paint finishes is one of the most trending interior décor designs these days. 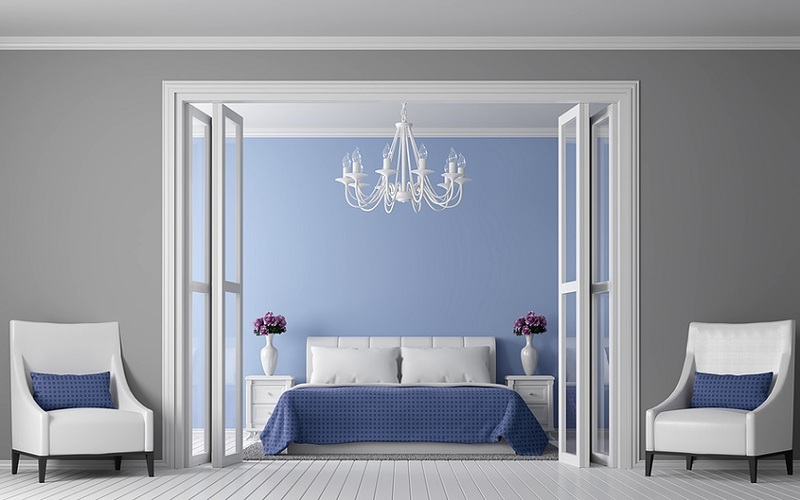 Clients mostly try a monochromatic scheme of colour for their bedroom or the formal seating areas. Warmer shades of colour such as maroon or shades of red can be used to complement or contrast the single colour theme.